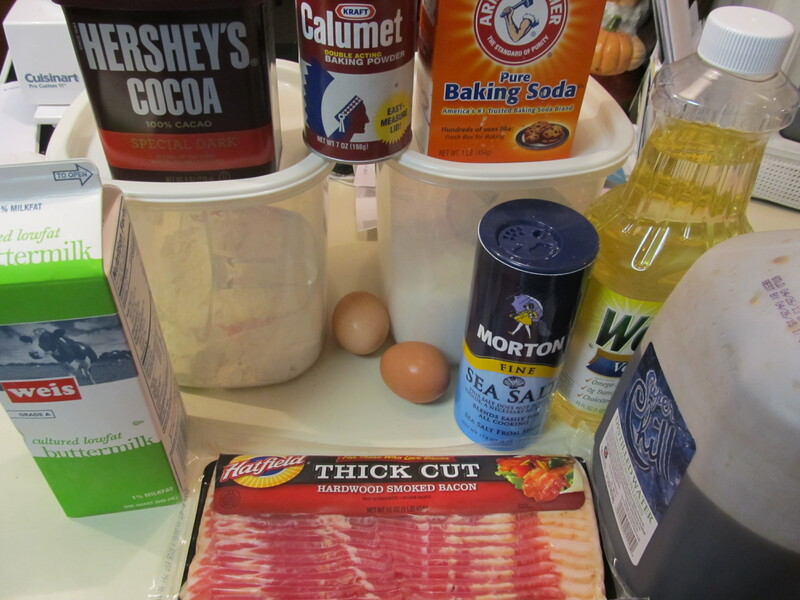 I dont even know why I wanted to make this cake. 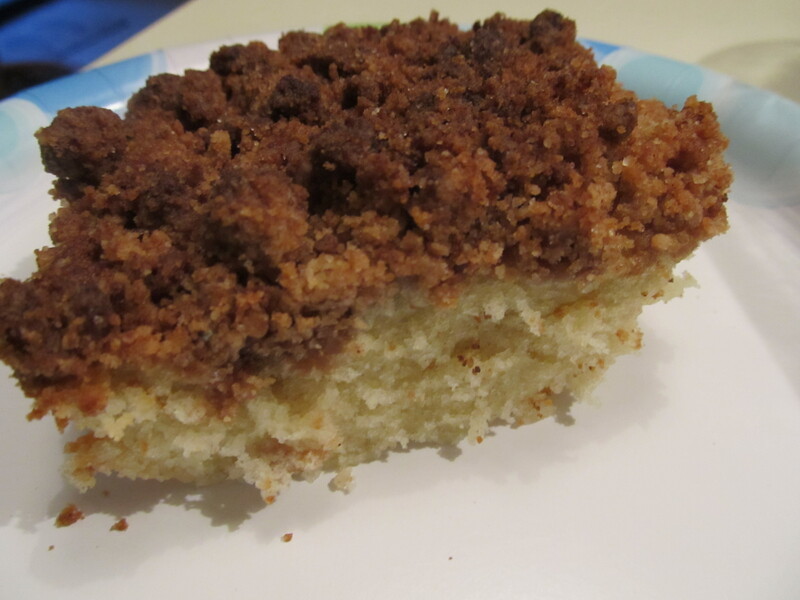 I found it on foodgawker and both the pics and the mixture of spices for the crumb topping suckered me in. 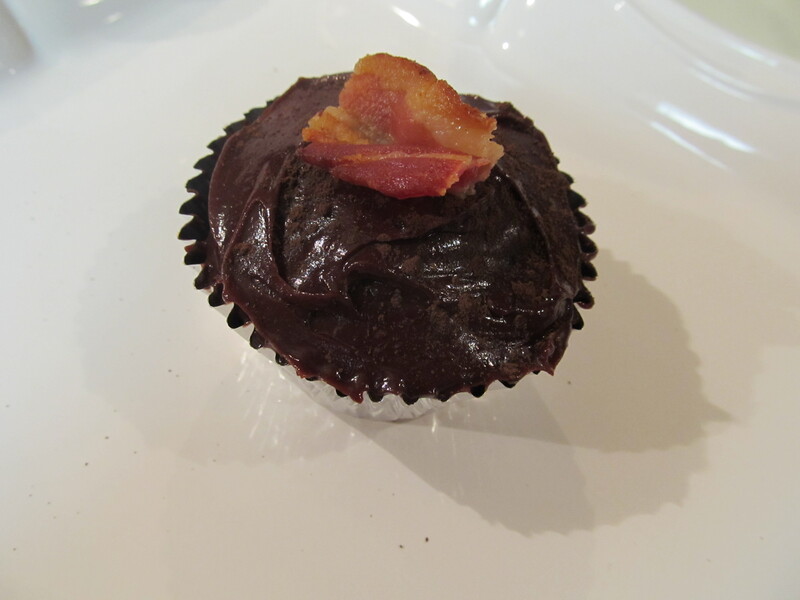 There was cinnamon and cardamom – yum! I love dishes where you can see distinct layers in the food! It was so easy to throw together. Preheat the oven to 350 degrees and position the rack in the center. 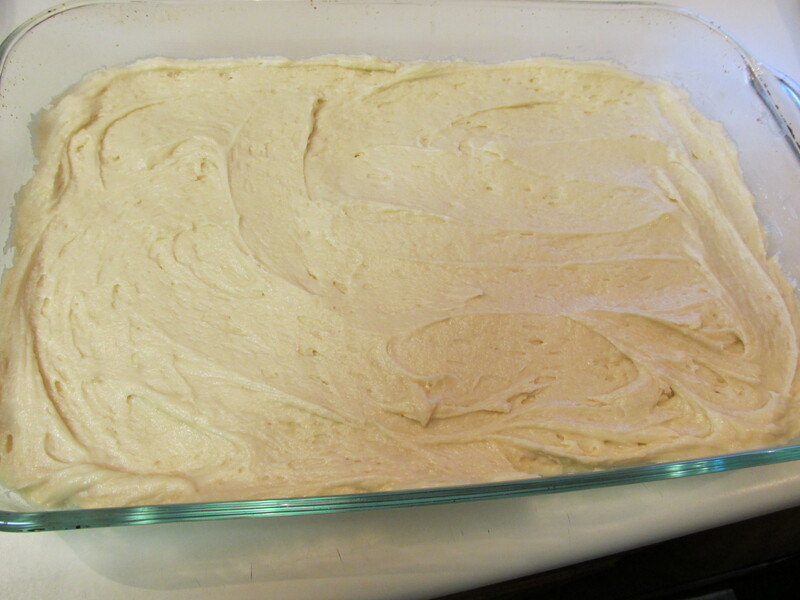 Butter the sides and bottom of a 9″ x 13″ pan. 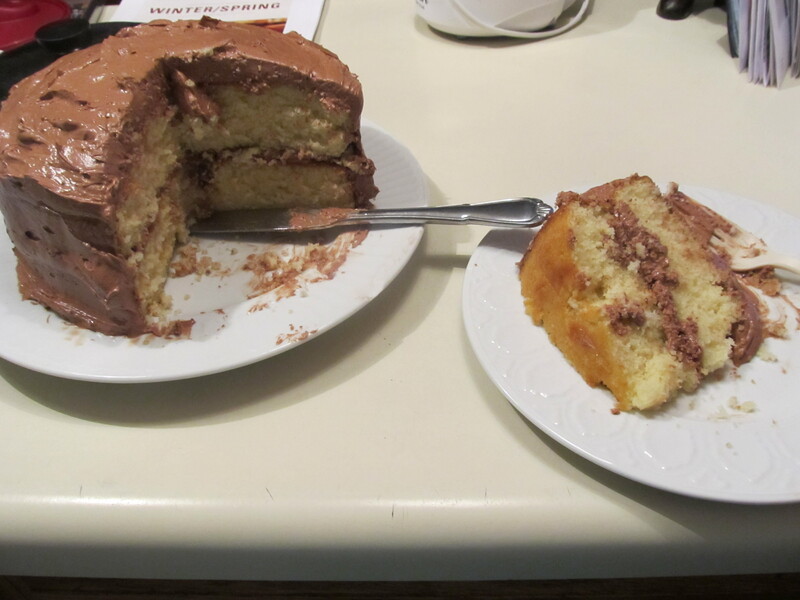 You can use glass or metal, but the sides of the cake may get a bit crispier if you use metal. 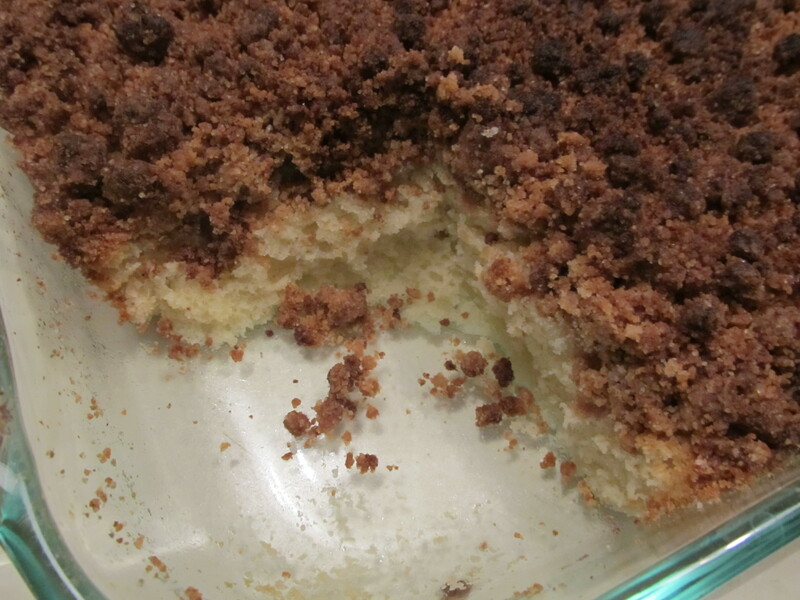 For the crumb topping, mix flour, both sugars, salt, cinnamon and cardamom together in a medium bowl. Add the melted butter and whisk or stir until well incorporated. Set aside. 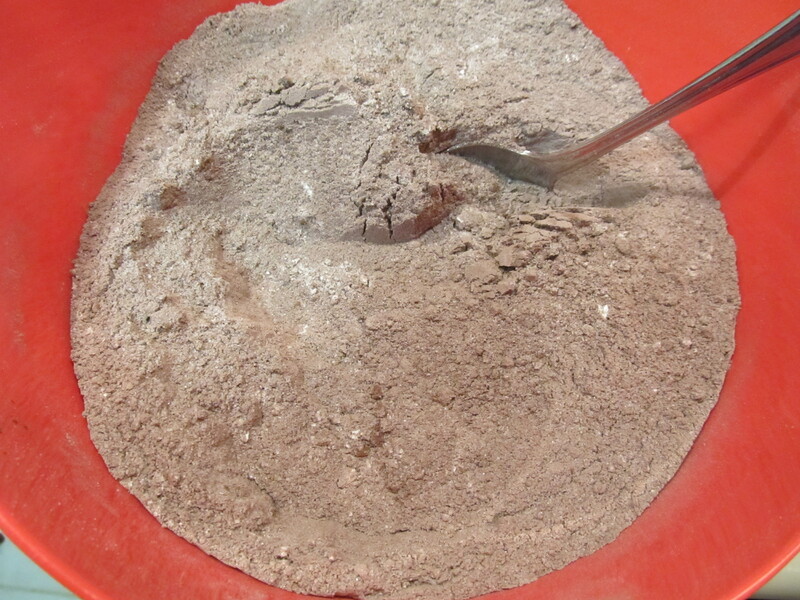 For the cake, sift both flours, baking powder, baking soda and salt together in a medium bowl. Set aside. 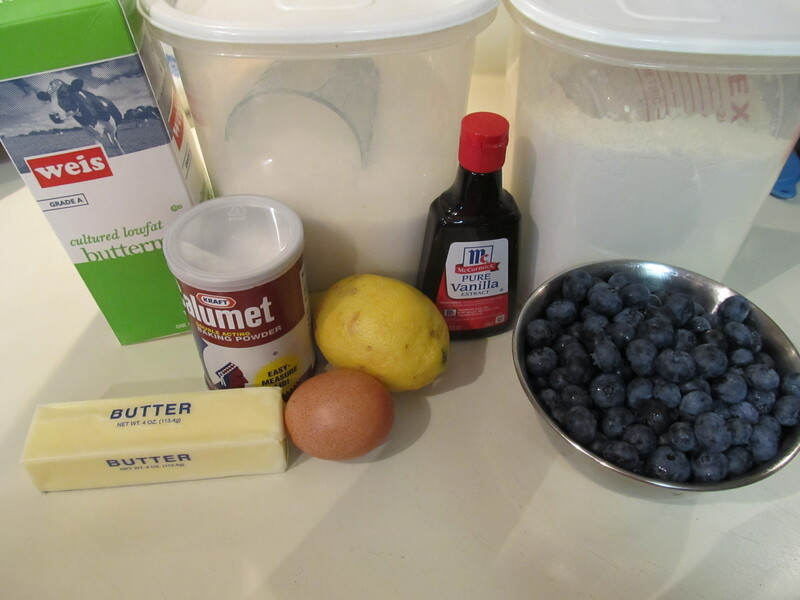 In a large bowl, beat the butter with a hand or stand mixer until completely smooth. 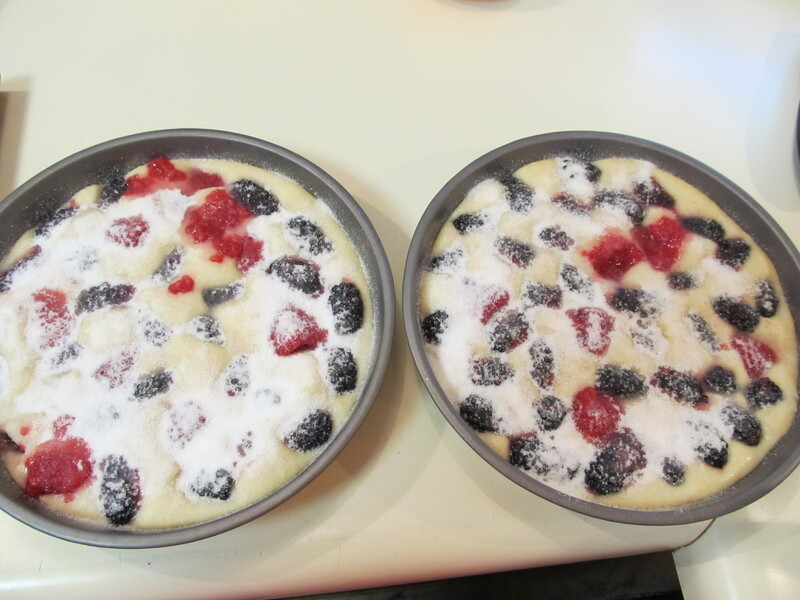 Add the sugar and beat until the mixture begins to look pale and fluffy. 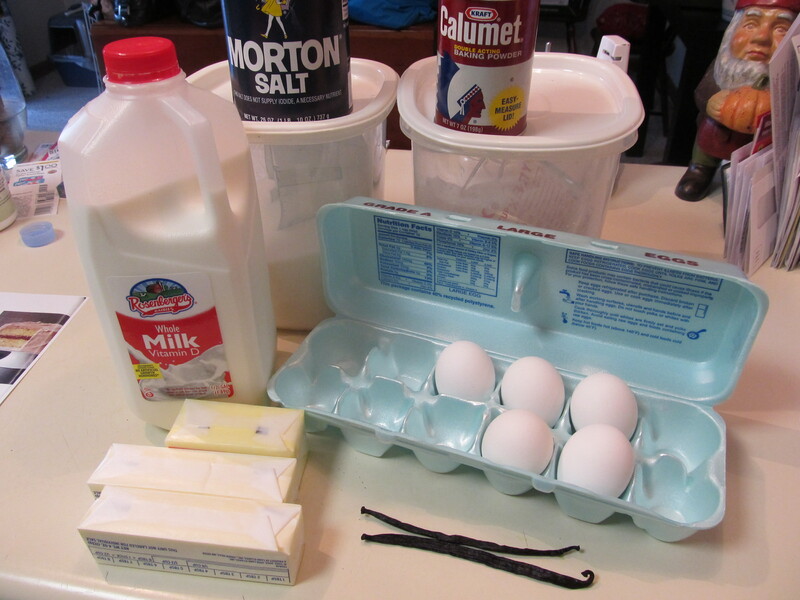 Add the eggs, one at a time, and beat until well mixed. 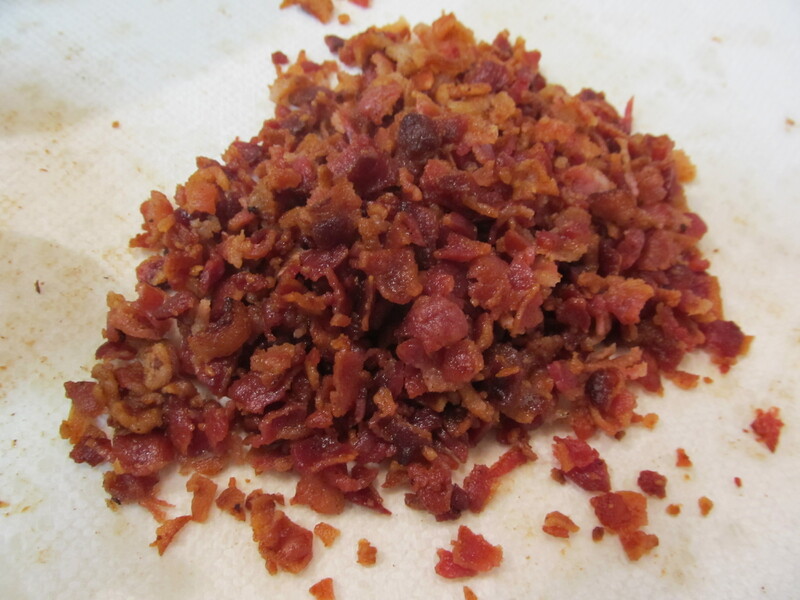 Scrape down the sides of the bowl and mix again for 30 seconds. 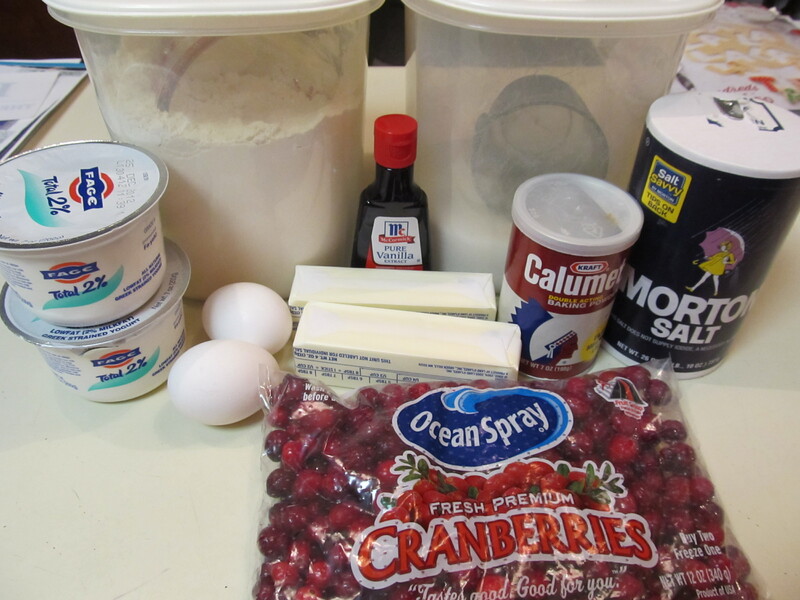 Add the sour cream and vanilla and beat until well incorporated. 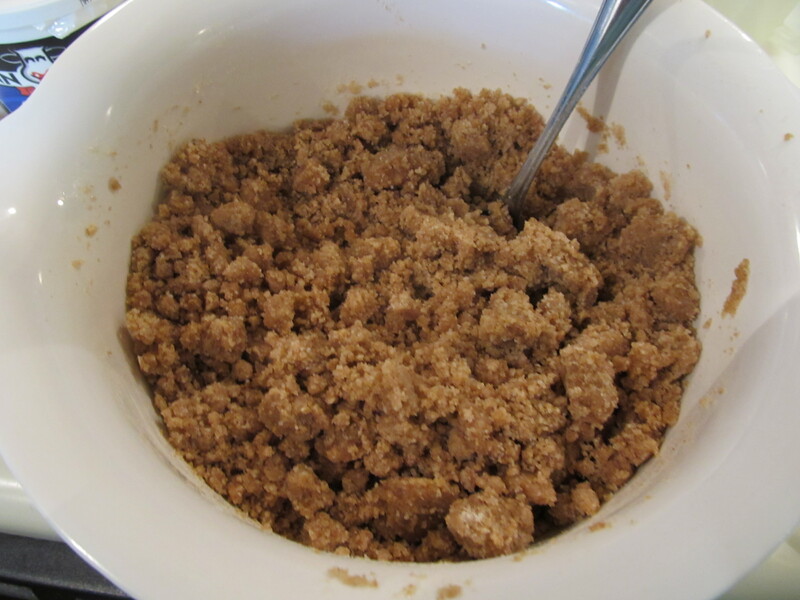 Add the dry ingredients in three batches, scraping down the bowl before each addition. Be careful not to overmix. 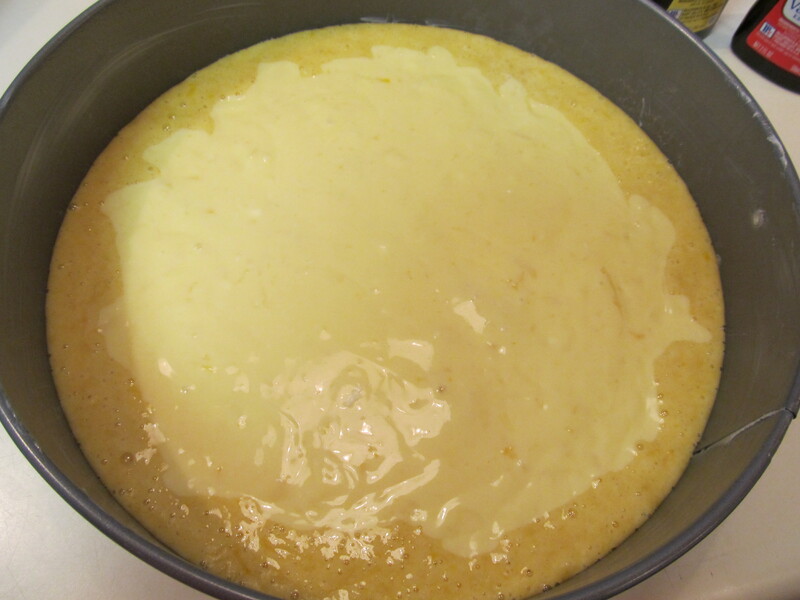 To assemble the cake, pour all of the batter into your prepared pan. 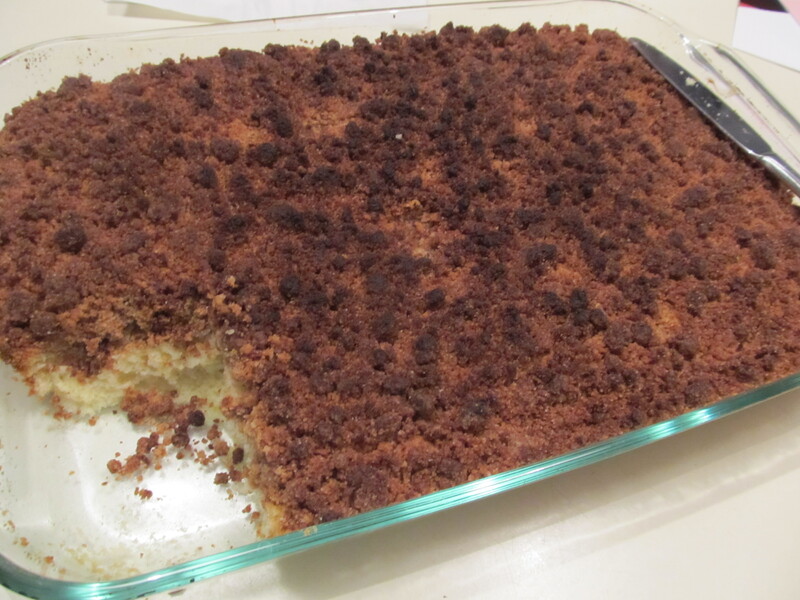 Use your hands to scoop up a handful of crumb topping and squeeze it in your fist until it holds together. 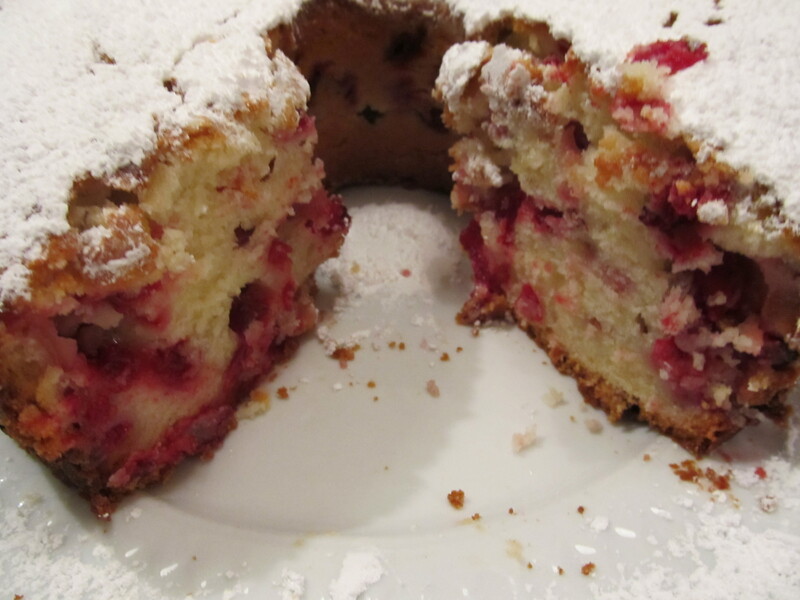 Break off in chunks and drop them over the cake. Repeat until you’ve used all the topping (and yes, there’s a lot of it). 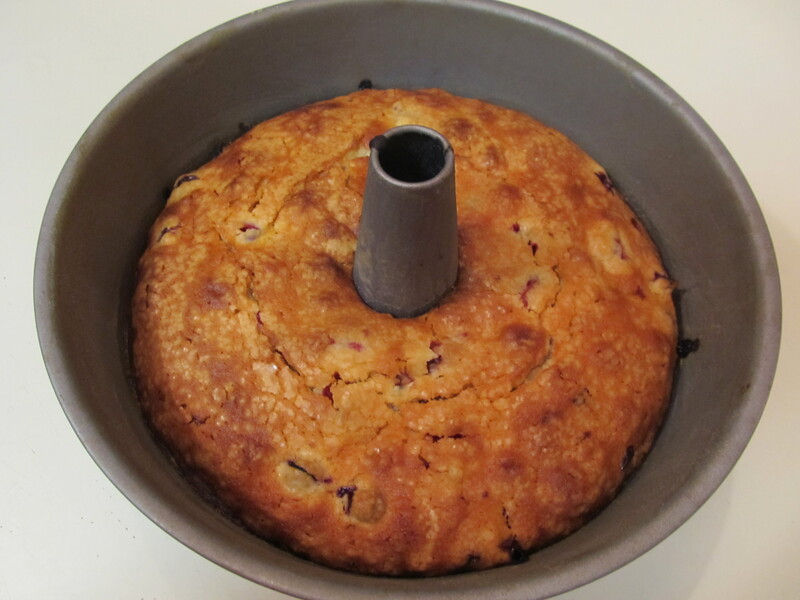 Bake the cake for 45 to 55 minutes (rotating the pan once or twice) or until a toothpick inserted into the middle comes out clean. Let cool completely on a wire rack before cutting; about 30 minutes. 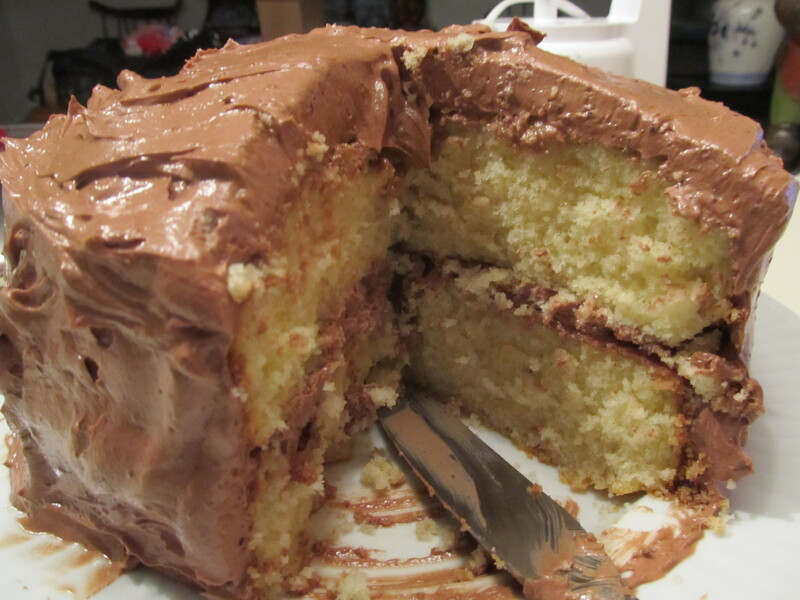 I saw this cake online somewhere right before memorial day weekend…..and it sounded so good. 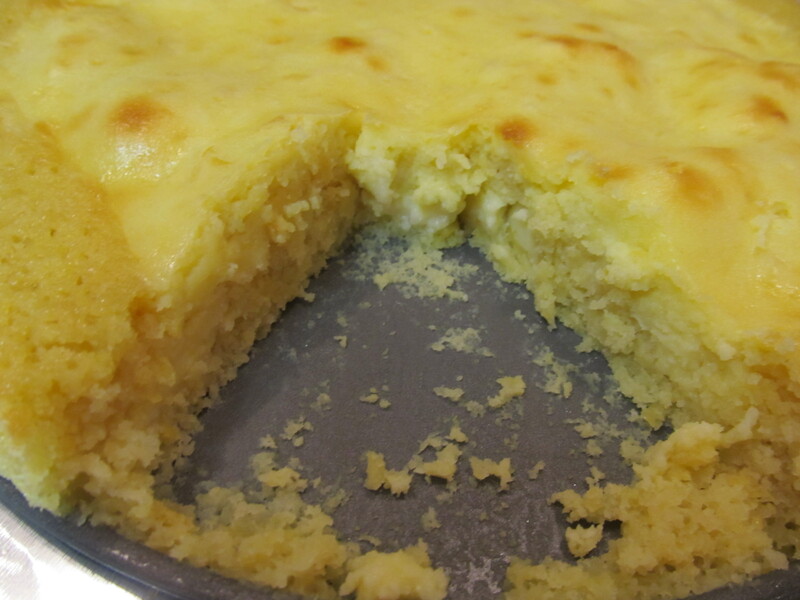 I had been craving cheese danish lately and this seemed like cheese danish plus lemon – who wouldnt love that? 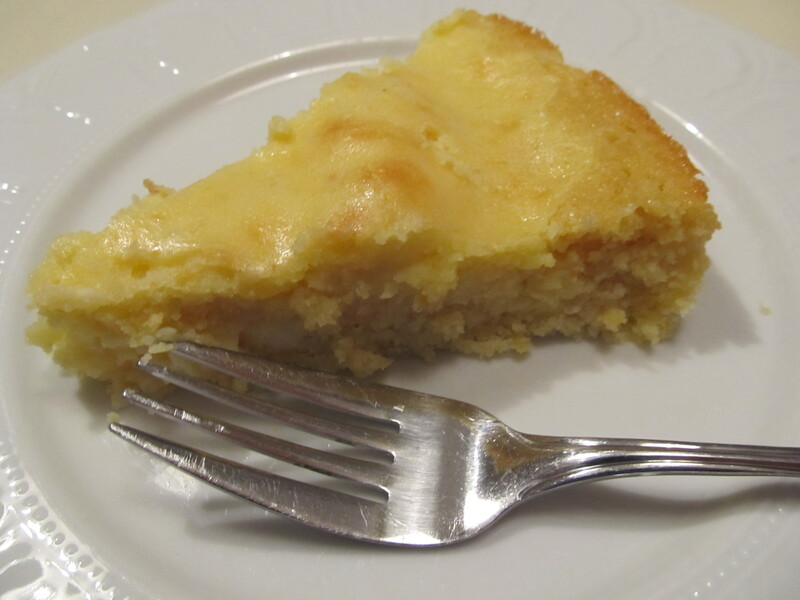 It seemed easy enough and chock FULL of lemon – both zest and extract! Look at this plate of zest!!! 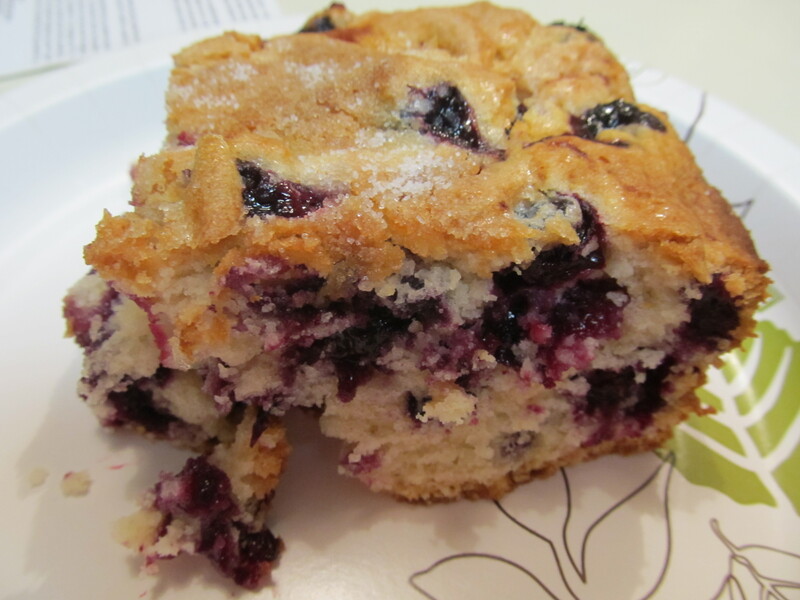 This cake would be excellent for a brunch or light dinner accompaniment. It’s so fresh and simple, but yet still elegant. I would garnish with a sprig of rosemary. I totally goofed when I made this the first time. 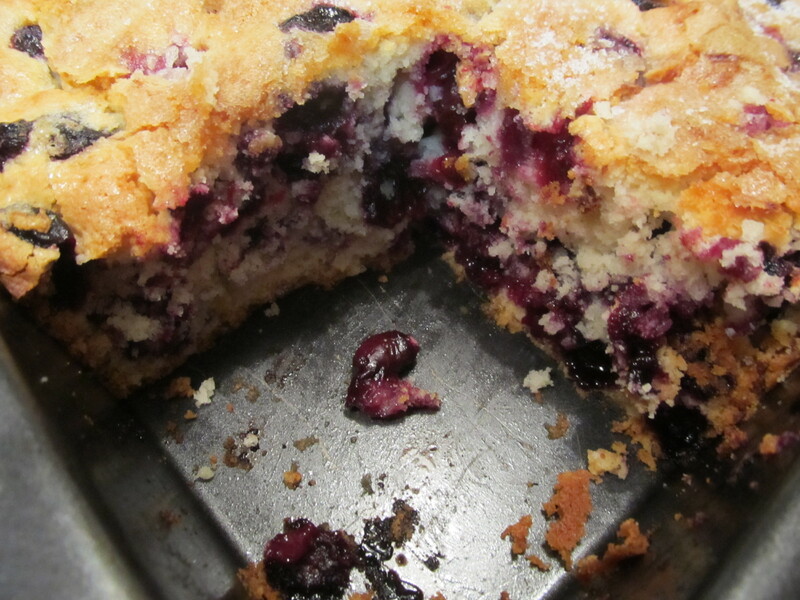 I made the entire cake and had it in the oven and then I saw that I had forgotten the melted butter in the batter!!!! How could I have done that? I had to scrap the entire cake, clean everything up, get out all the ingredients again, and run to Wawa for more cream cheese. What a mess. Thank god it turned out amazing! Preheat oven to 325 degrees. 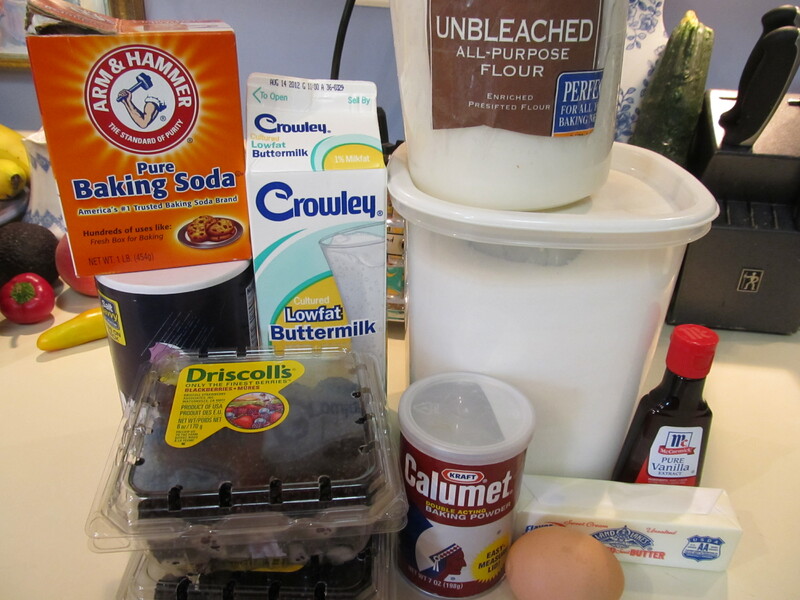 Grease or spray a 9″ springform pan with vegetable spray. Make the filling — In a large bowl or bowl of a standmixer, beat the cream cheese on medium-high to high speed for about 5 minutes, until smooth and creamy. 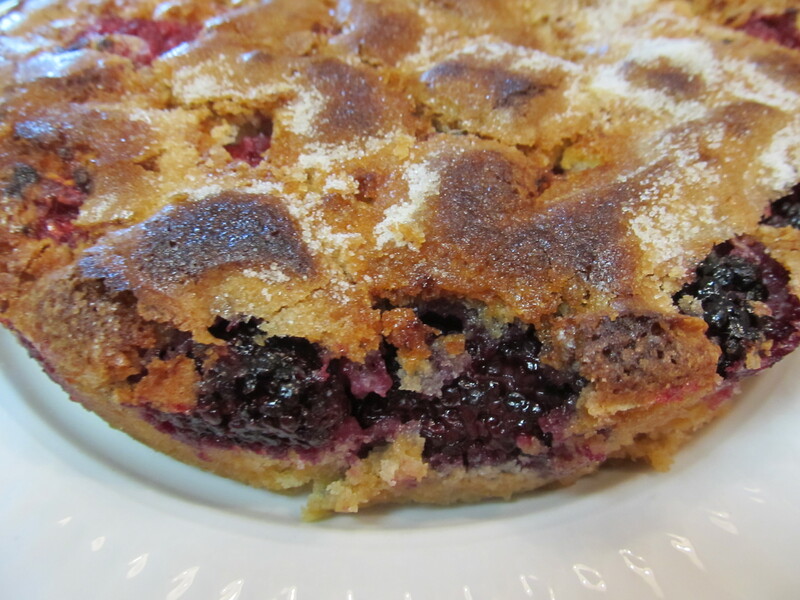 Add confectioners’ sugar and beat for another 2 to 3 minutes. 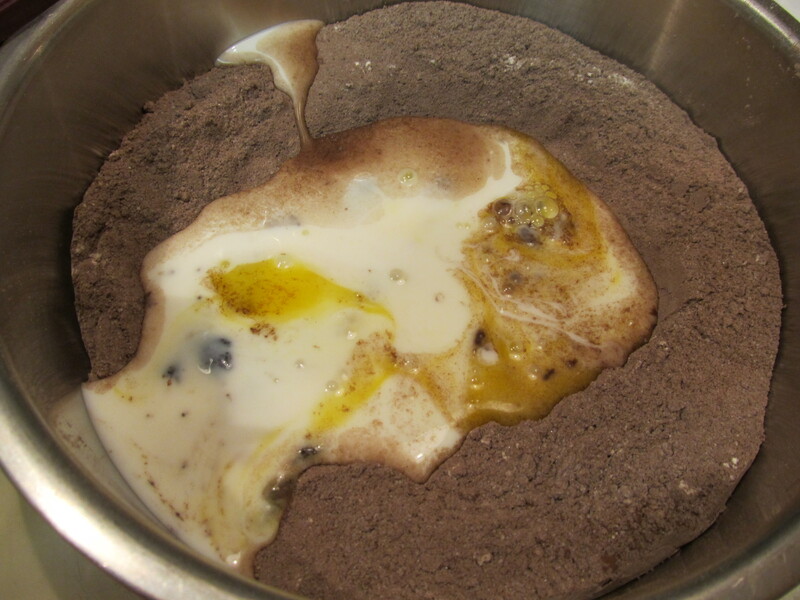 Add egg and beat until completely combined, about 1 minute. 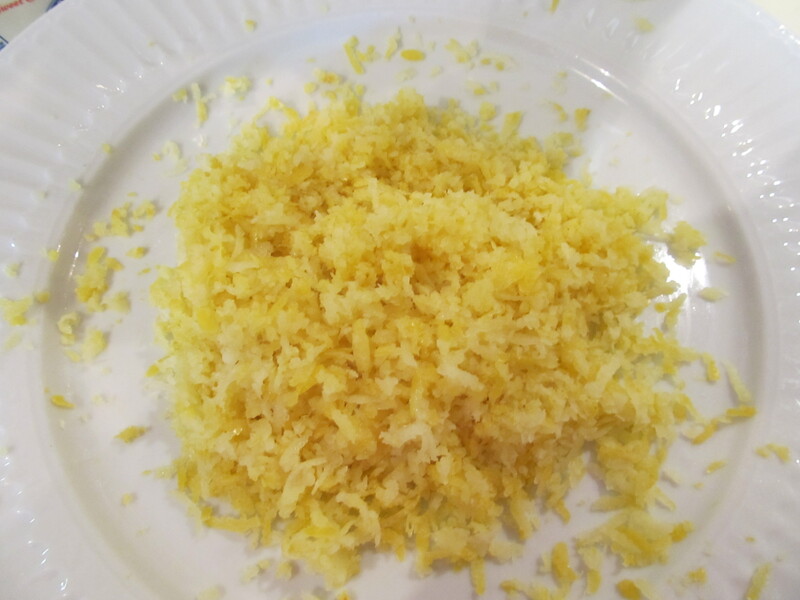 Add butter, both extracts and lemon zest. Beat until completely combined, about 1 minute. Set aside. 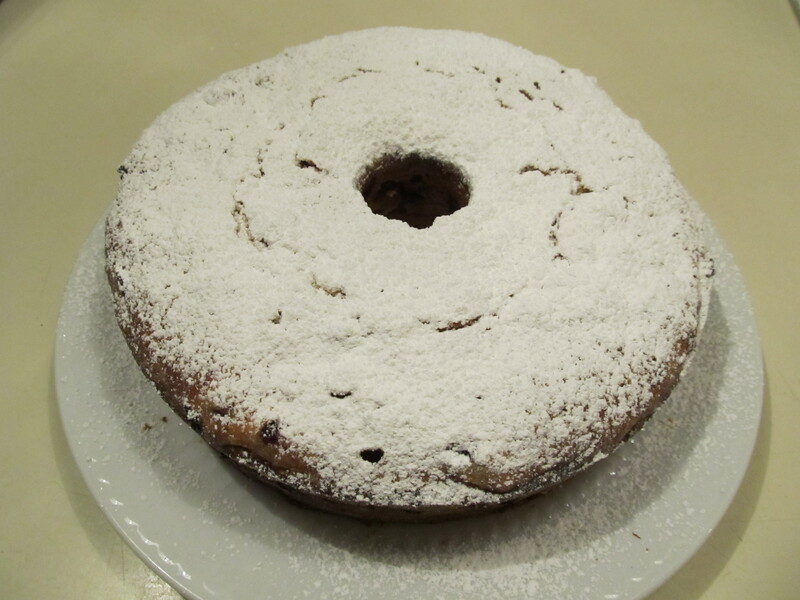 Make the cake — In large bowl, whisk together flour, sugar, baking powder and salt. 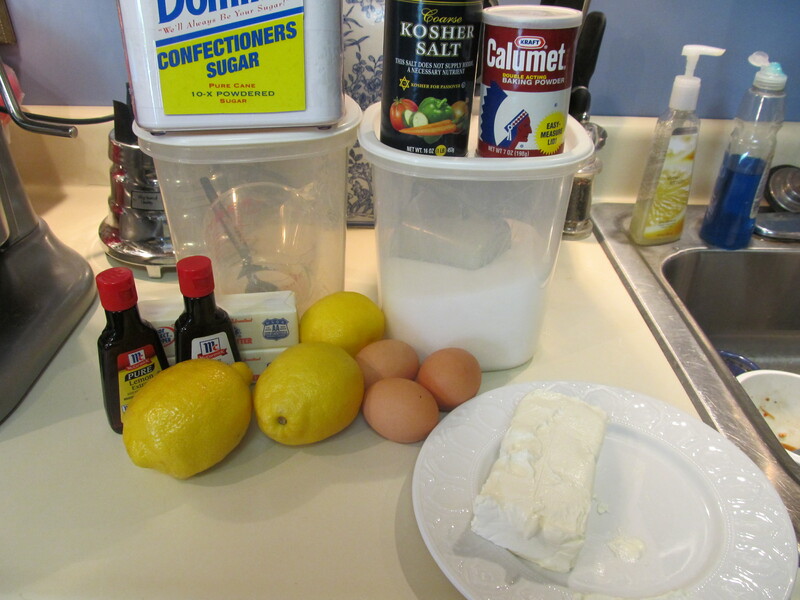 Whisk in melted butter, eggs, lemon juice, vanilla extract and lemon zest until combined. Do not overmix. 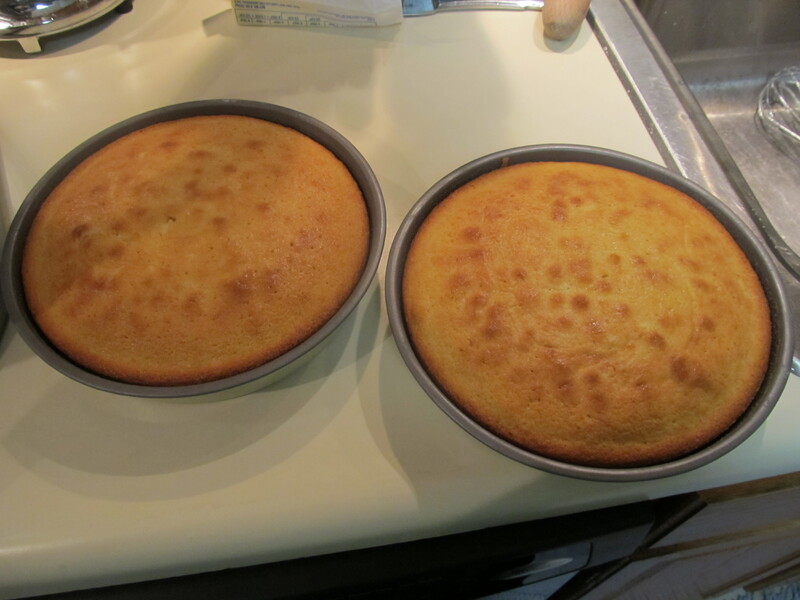 Bake for about 35 to 40 minutes, or until the cake has puffed up and toothpick inserted near edge of cake comes out clean. 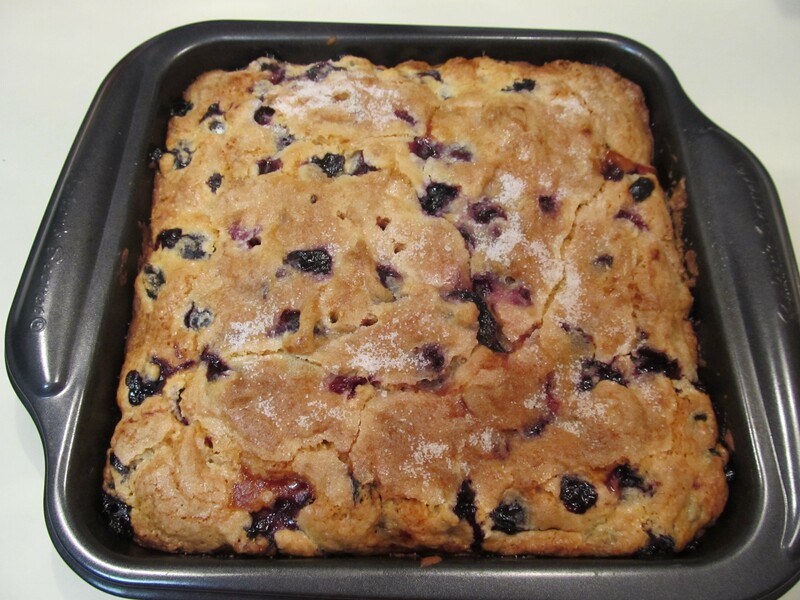 Allow to cool in pan on a wire rack for 10 minutes. Carefully remove springform sides and allow to cool on rack for 1 hour. 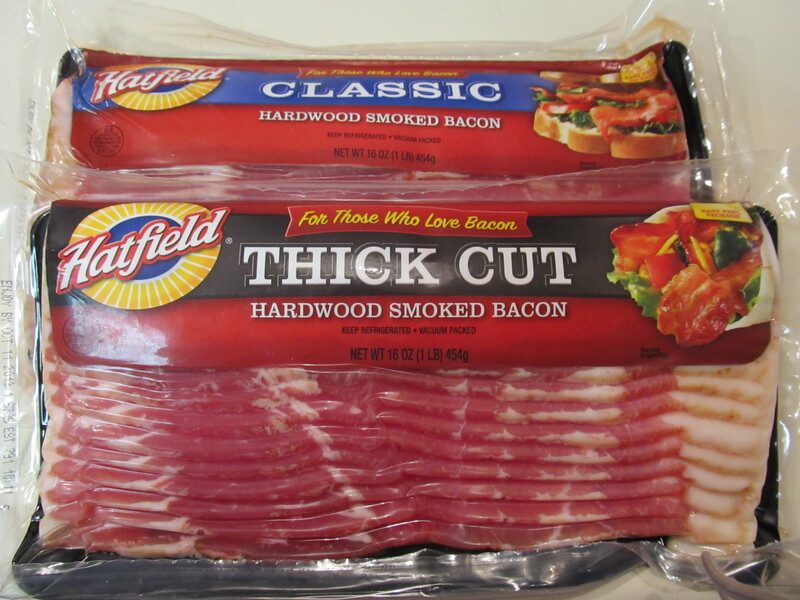 Transfer to refrigerator and chill completely before serving. 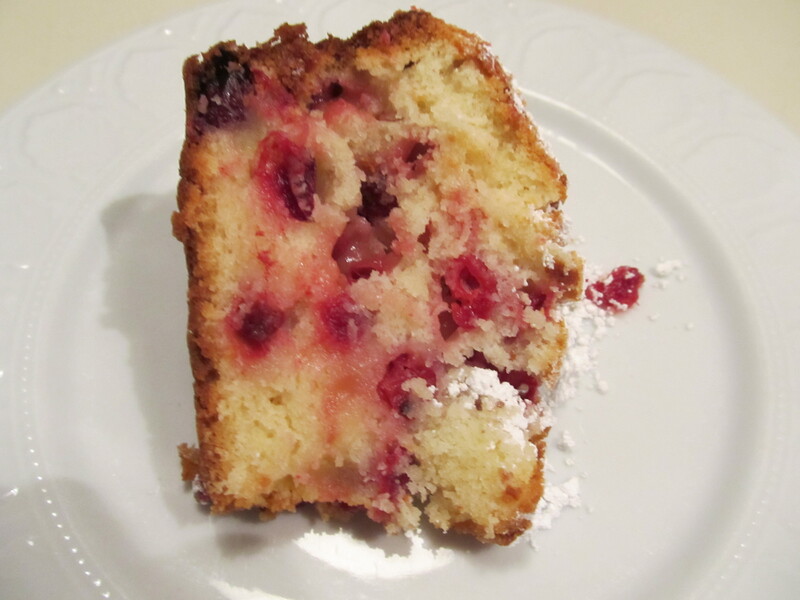 Serve chilled, with a little sprinkling of confectioners’ sugar. 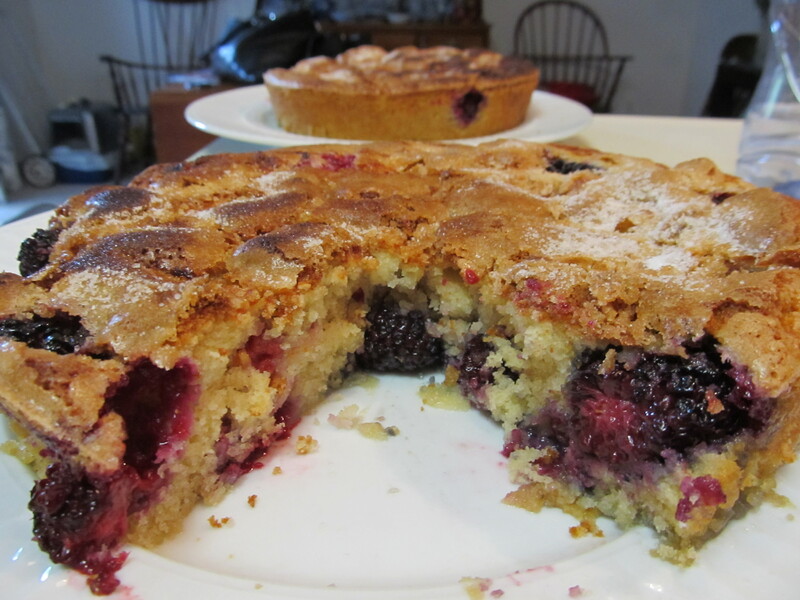 I saw this recipe in Food and Wine (Feb ’12) and it looked good and had wonderful photos attached. It also called for whole vanilla beans (split and seeds scraped) and my gurrrrl, Beth, brought me some whole vanilla beans from her travels to Indonesia or Bali or some place “over there” like that. 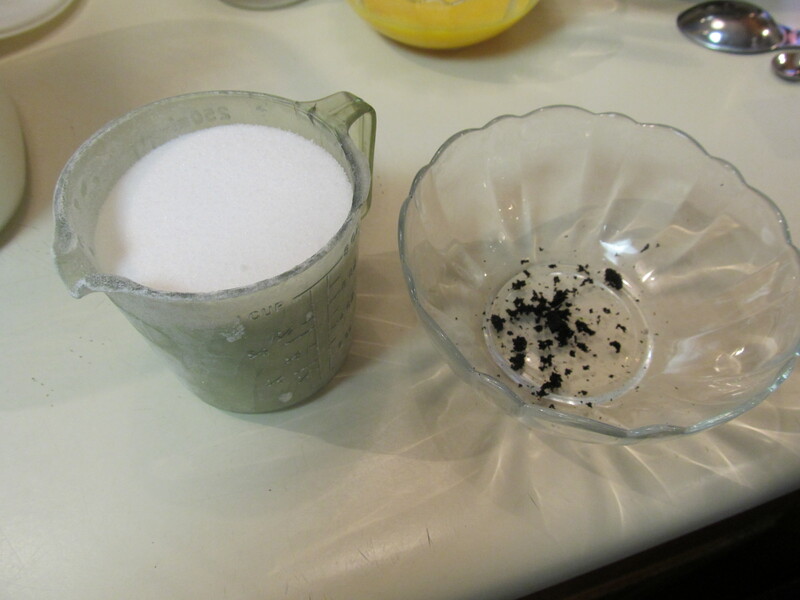 Vanilla seed scrapings and sugar! I decided to make it a month or so ago, and while it’s a smidge more laborious than some other vanilla cakes, it’s totally worth it! 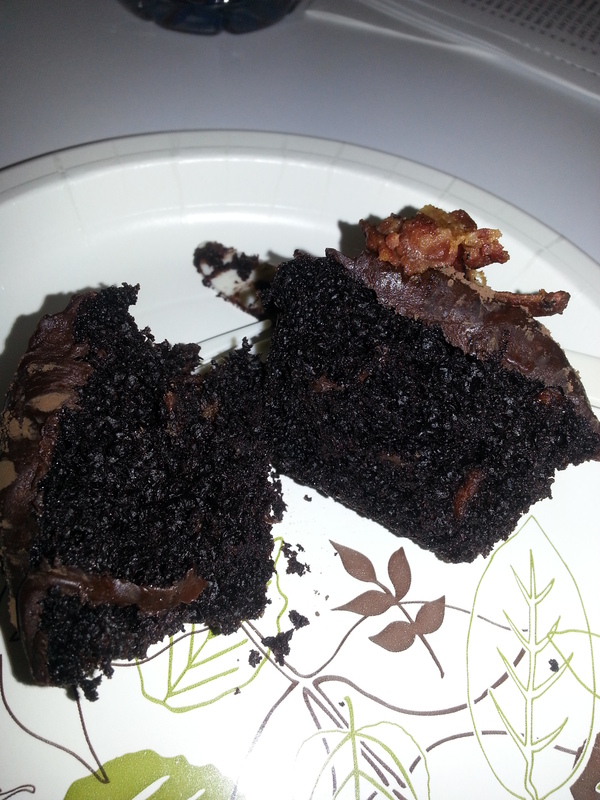 The cake was soooooooooooooooooooo moist and delicious and buttery. 1) Preheat oven to 325°. Butter two 9-inch pans (I used 8 inch) and line the bottoms of the pans with parchment paper. Butter the paper and dust the pans with flour, tapping out the excess. 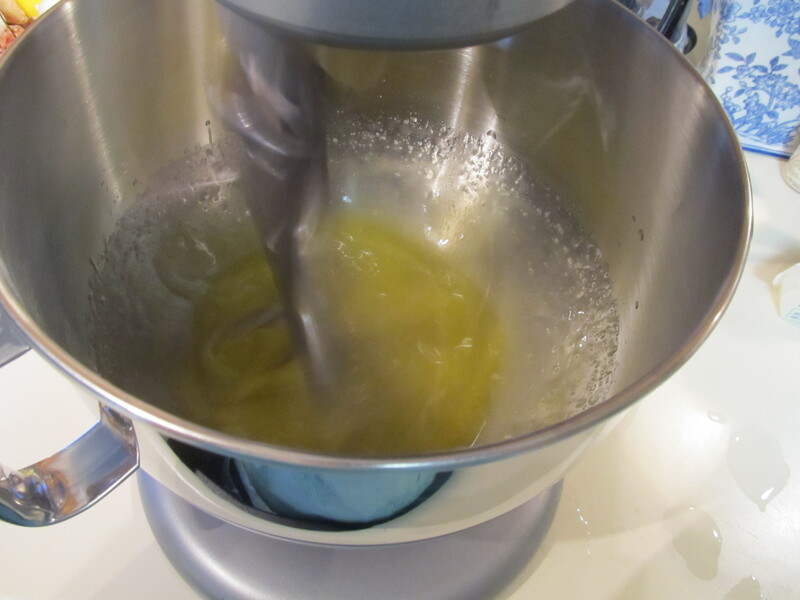 2) In a medium saucepan, melt the 3 sticks of butter. Cook over low heat, stirring occasionally, until foamy, about 5 minutes. Continue to cook, stirring frequently, until the milk solids turn brown and the butter smells nutty, about 4 minutes longer. 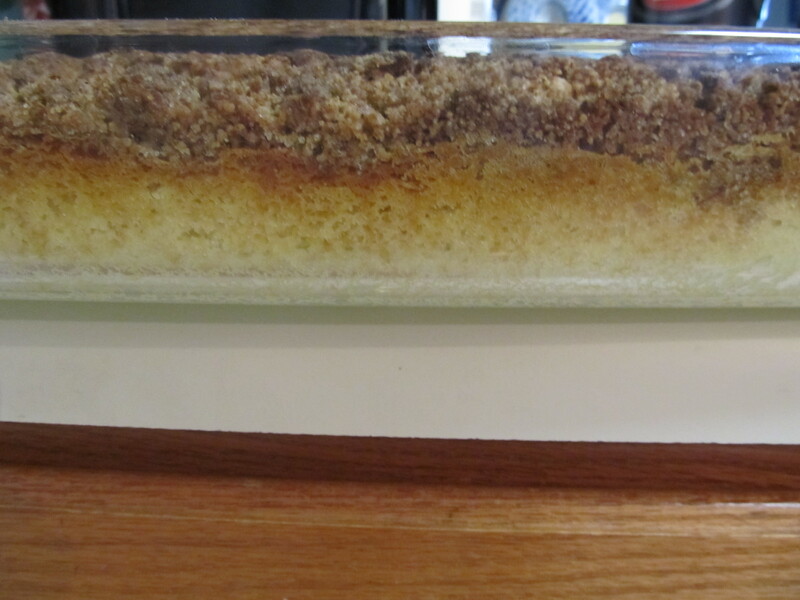 Scrape the melted butter and browned bits into a large heatproof bowl. 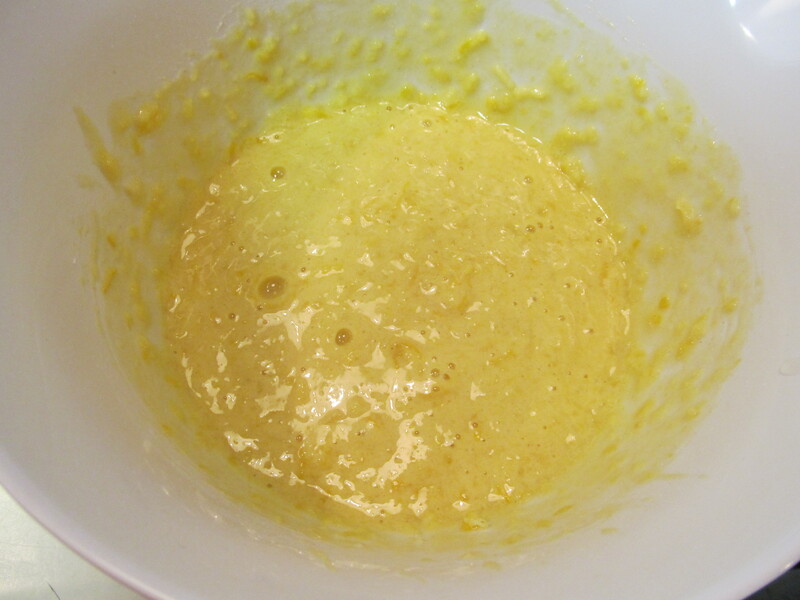 Set the bowl in an ice water bath until the butter begins to set around the edge, about 8 minutes. 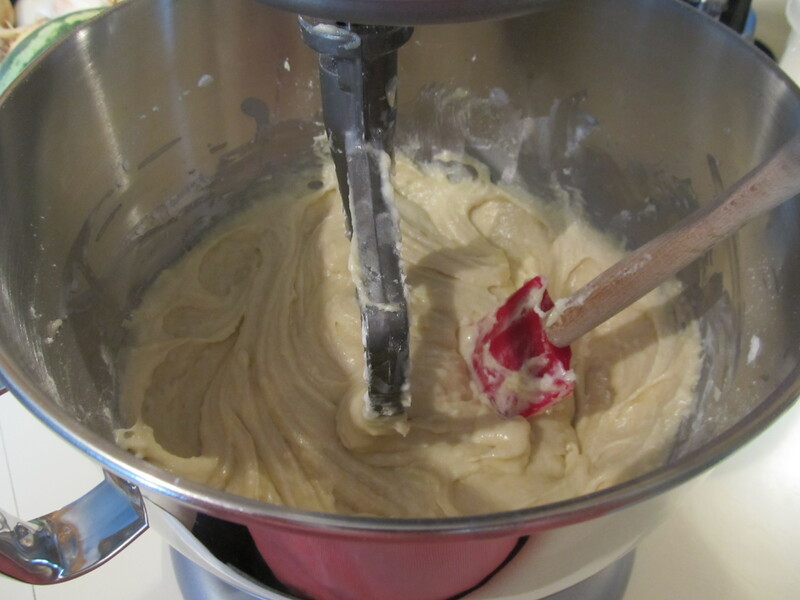 3) Meanwhile, in a medium bowl, whisk the flour with the baking powder and salt. 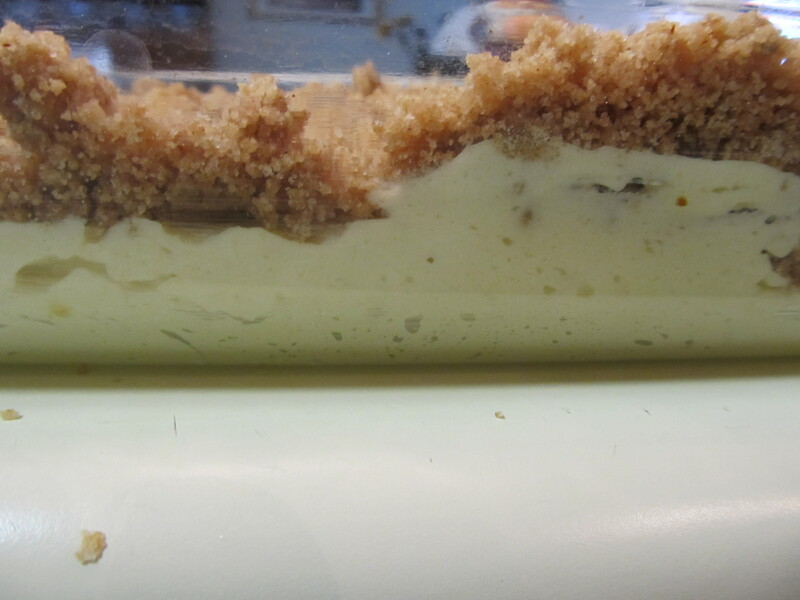 4) Remove the bowl from the ice water bath and scrape up the hardened butter. 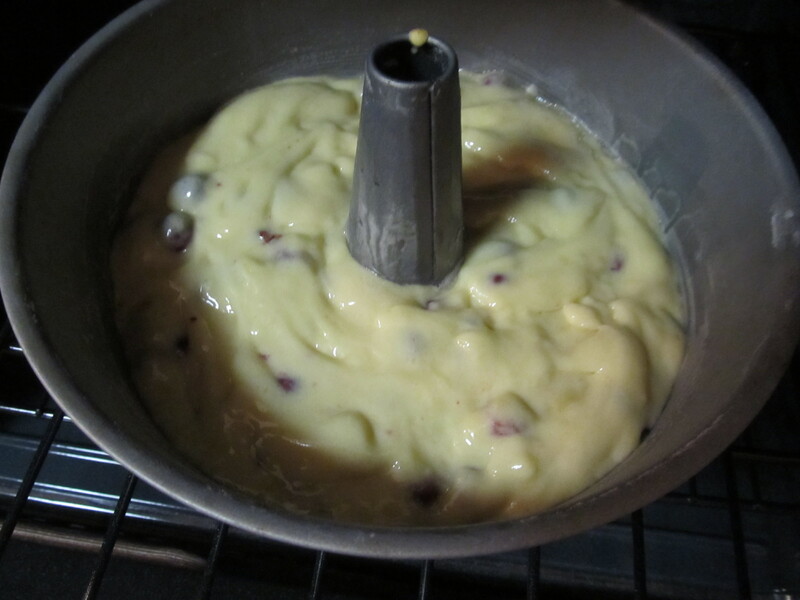 Transfer the butter to the bowl of a standing electric mixer fitted with the paddle and beat until creamy. 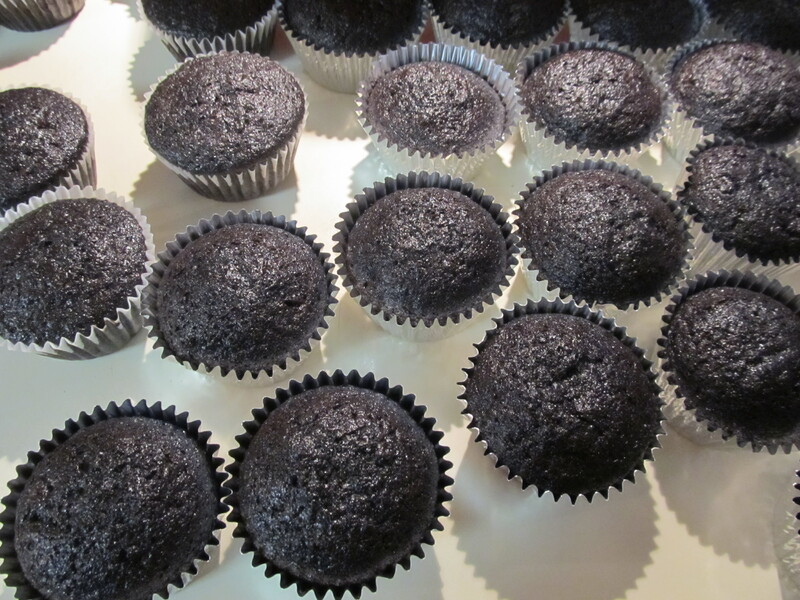 Add the sugar and vanilla seeds and beat at medium-high speed until fluffy, about 3 minutes. Beat in the egg yolkds followed by the whole eggs. Beat in the dry ingredients and milk in 3 alternating additions, scraping down the side and bottom of the bowl as necessary. 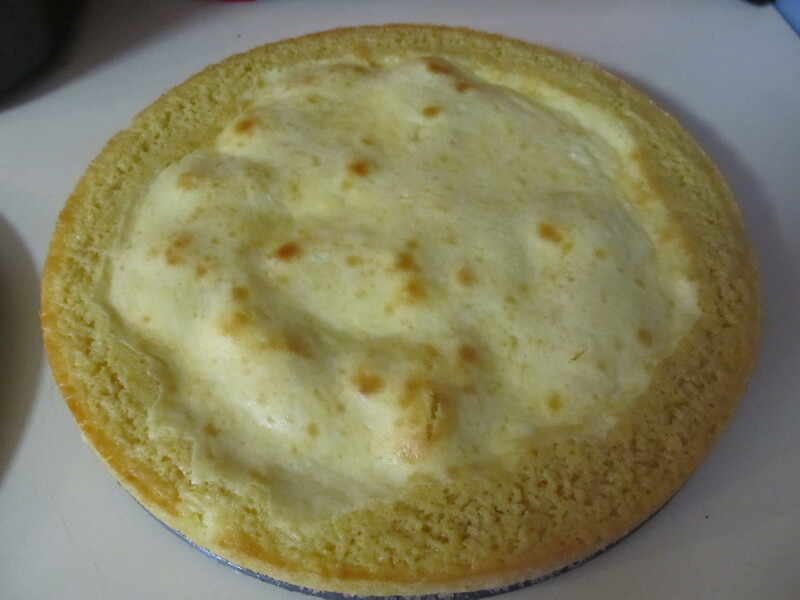 5) Pour the cake batter into the prepared pans and bake in the center of the oven for about 40 minutes, rotating the ans halfway through baking, until the cakes are golden and a tootpick inserted in the centers comes out clean. 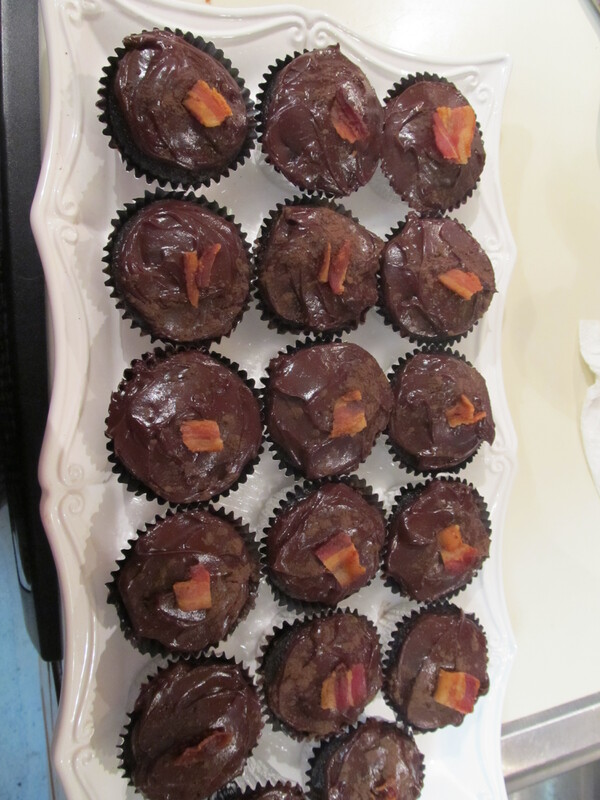 Cool the cakes in the pans for 20 minutes and then invert them onto a rack to let them cool completely. 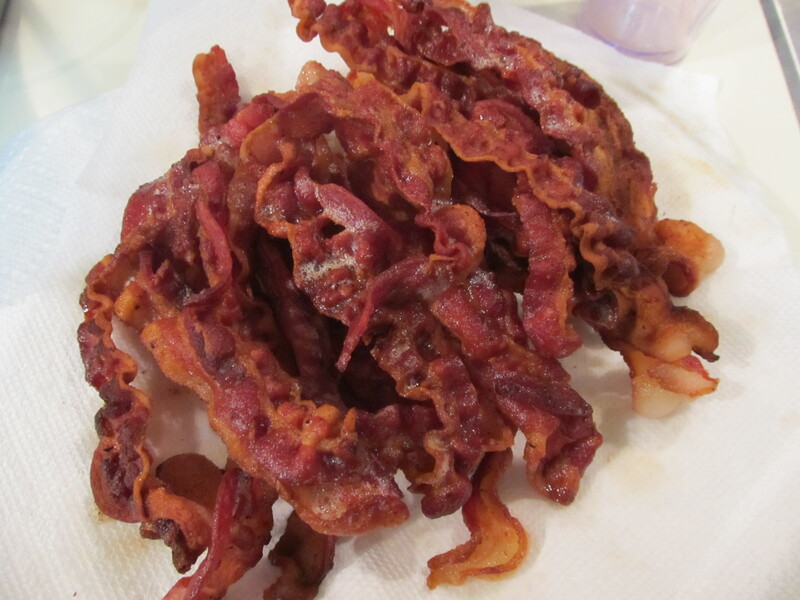 Peel off the parchment paper. 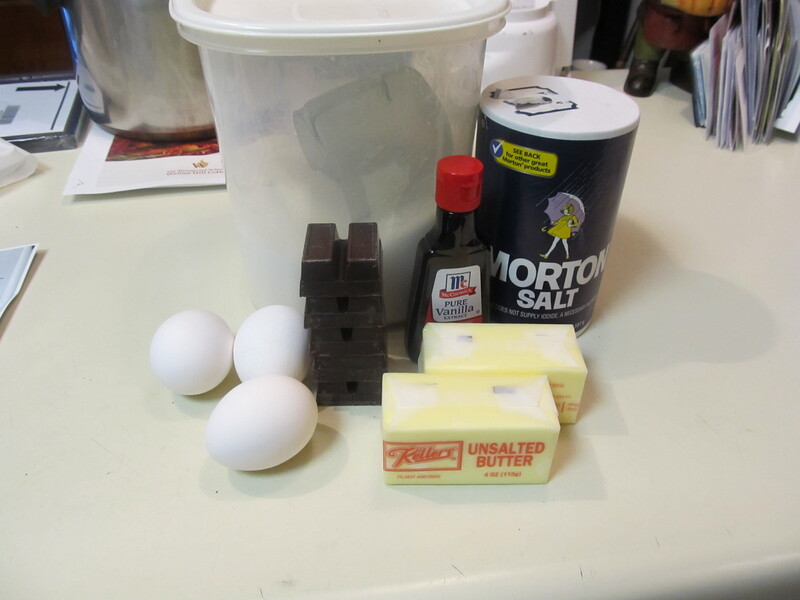 Now for the Chocolate Buttercream……. 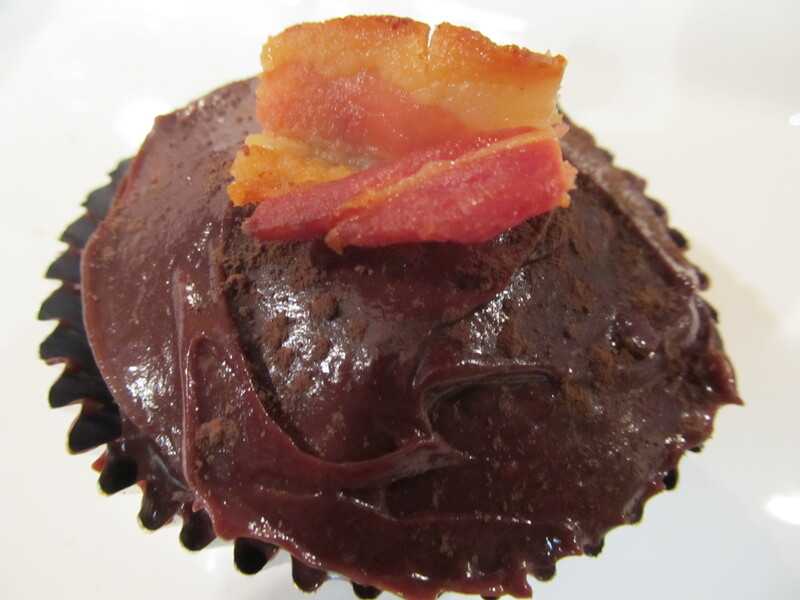 This Rich Chocolate Buttercream tastes delicious! 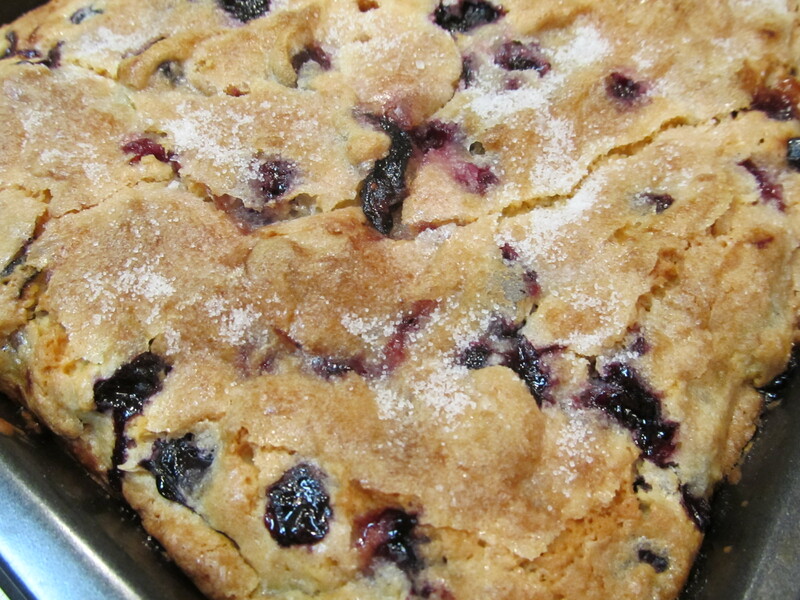 It’s not too dark and it’s so light and fluffy. 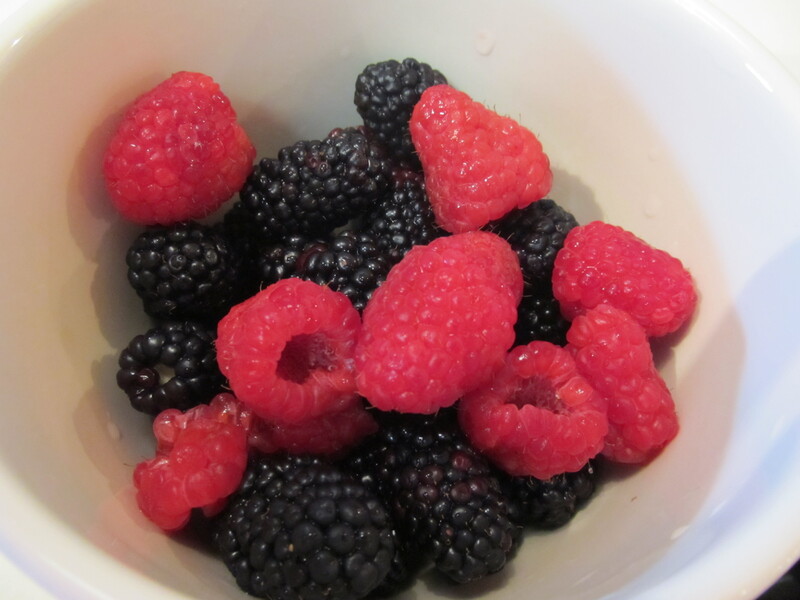 1) In a blender or food processor, pulse the sugar until powdery. 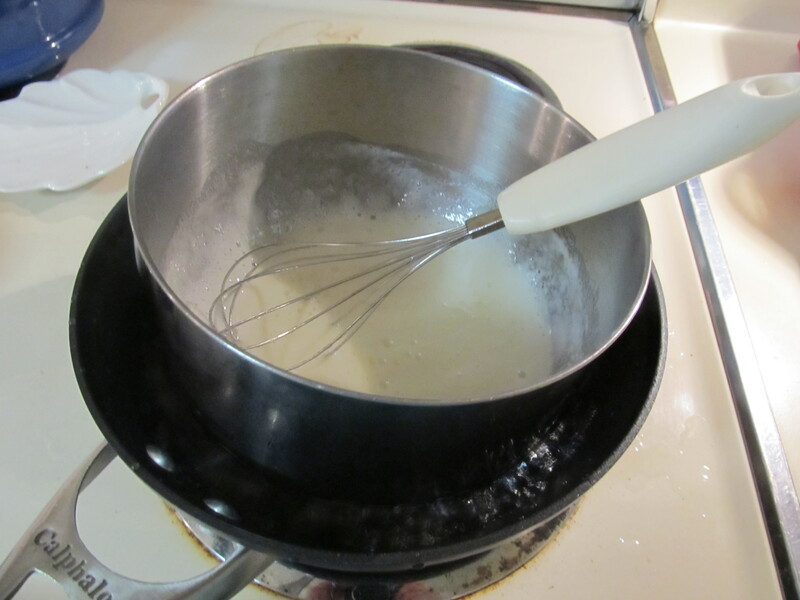 Transfer the sugar to a medium heatproof bowl and whisk in the egg whites and salt. 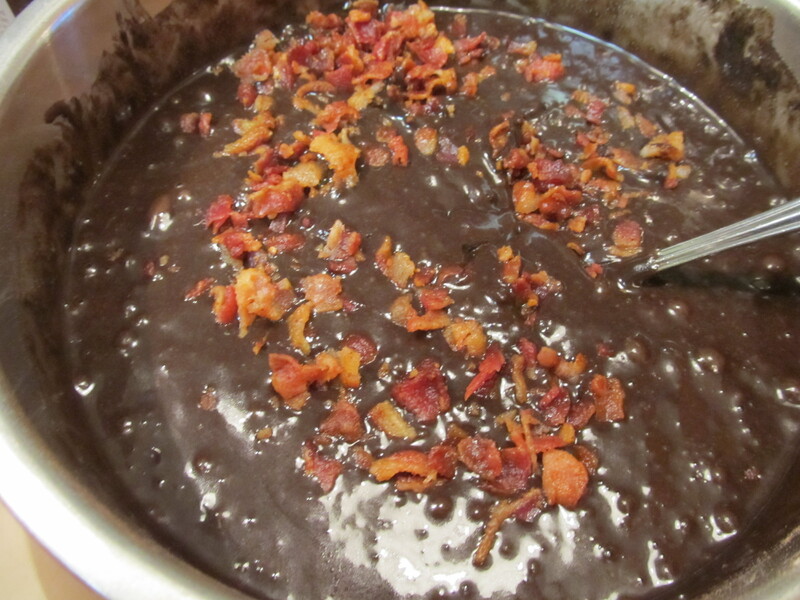 Set the bowl over a saucepan of simmering water and whisk gently until the sugar is completely dissolved, 5 minutes. 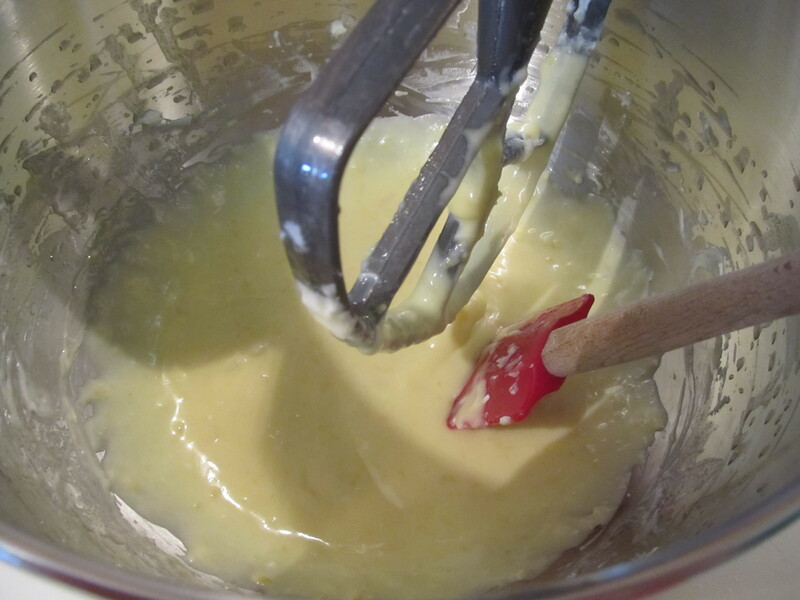 2) Transfer the warm egg-white mixture to the bowl of a standing electric mixer fitted with the whisk. 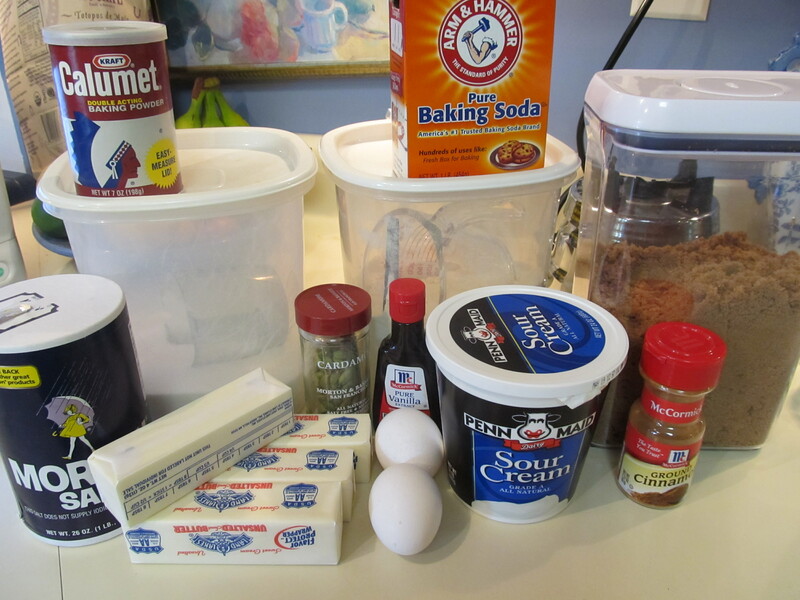 Add the vanilla and beat at medium-high speed until stiff and glossy, about 8 minutes. Beat in the butter a few pieces at a time, making sure it is fully incorporated before adding more. 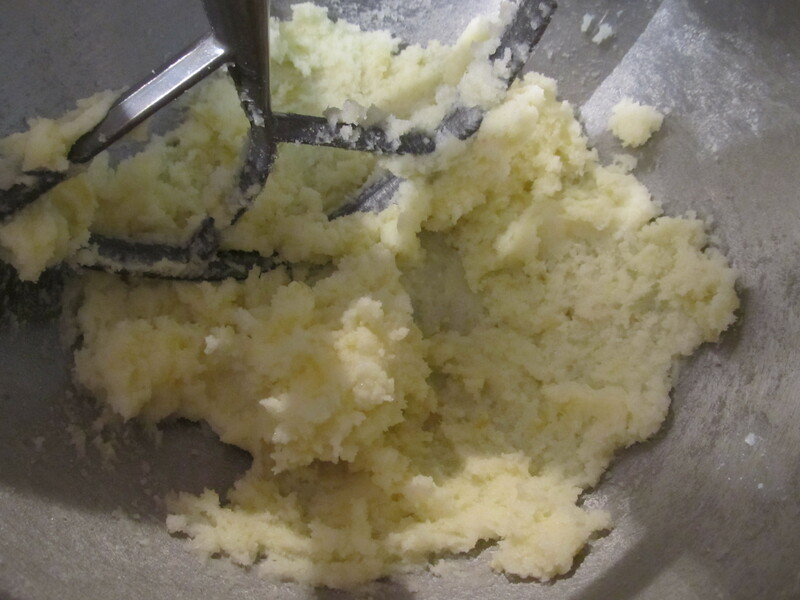 The buttercream should be light and fluffy; if it appears runny at any time, transfer the bowl to the freezer for 5-10 minutes, then return it to the mixer and continue. 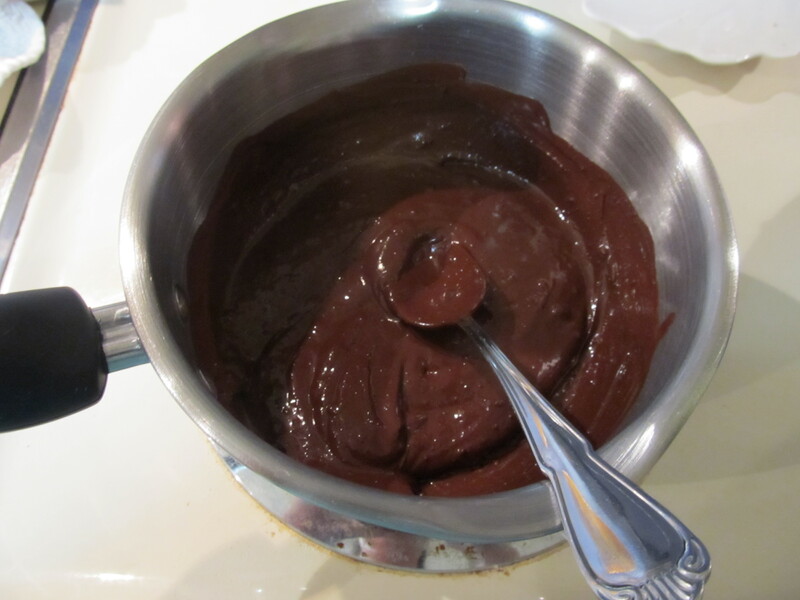 3) Beat in the melted chocolate until fully incorporated, scraping down the side and bottom of the bowl. 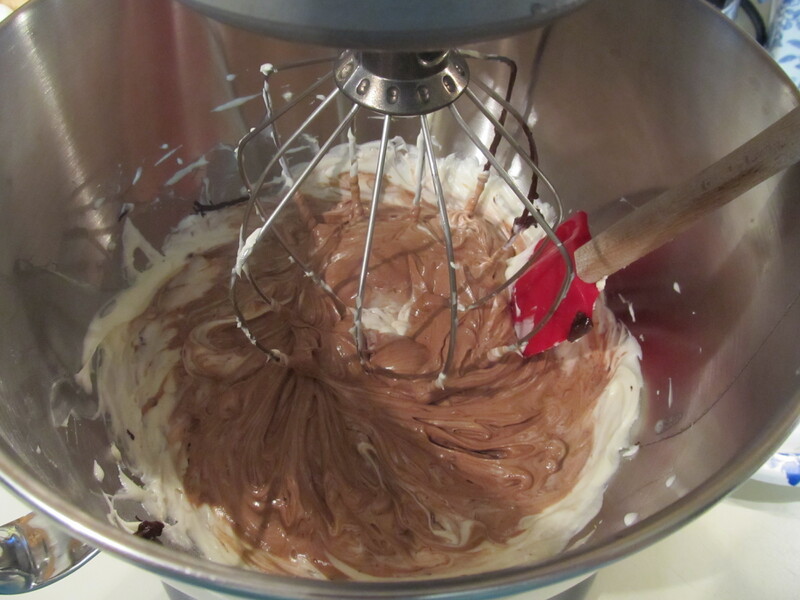 Remove the bowl from the mixer and beat with a wooden spoon to remove any air bubbles. Then spread frosting on cake. Invert one of the cakes so that it sits upside-down on a platter. Spread the filling/icing over the top of the cake in a thin layer and put the other cake right side-up on top of the cake. 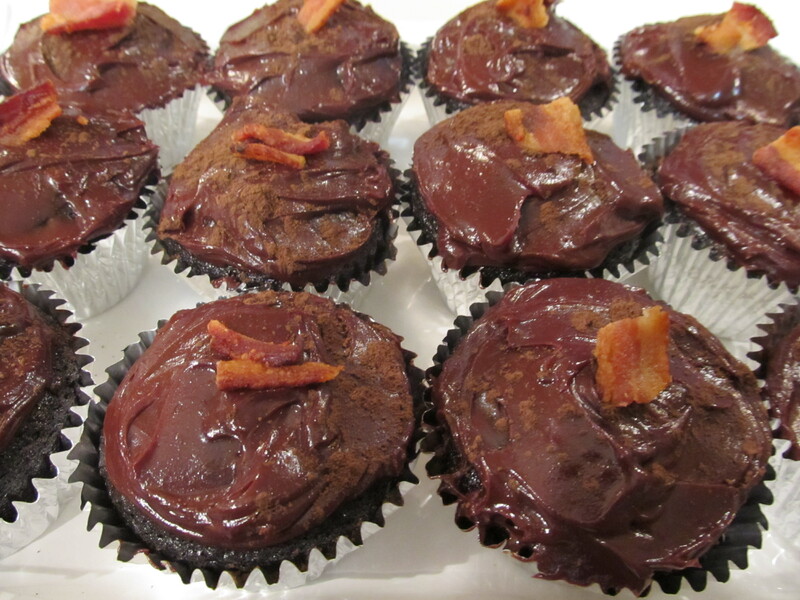 Put in the fridge (if necessary) to set for 5 minutes. Finish icing the rest of the cake starting with sides first and then top. 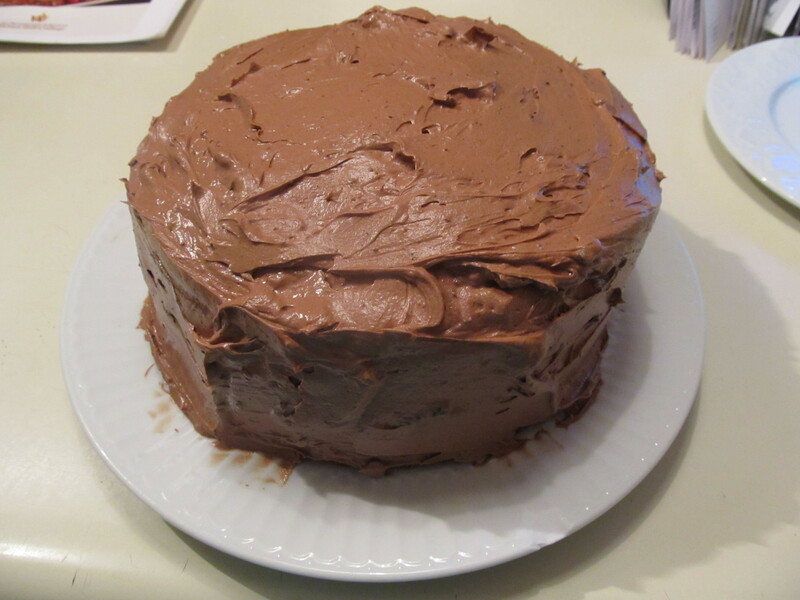 Refrigerate the cake until frosting is firm – 15 minutes.